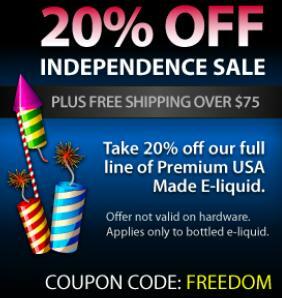 Just a quick heads up for all you vapers out there... E-liquid sale! Each week, Volcanoecigs picks a special e-liquid flavor to be their "E-Liquid Flavor of the Week" and discounts it 30%. 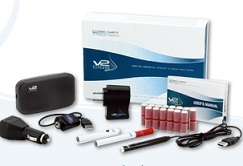 This is awesome for us vapers as it gives us the chance to try out new flavors - at a fraction of the price. It also allows us to stock up on our favorite e-liquid flavors. 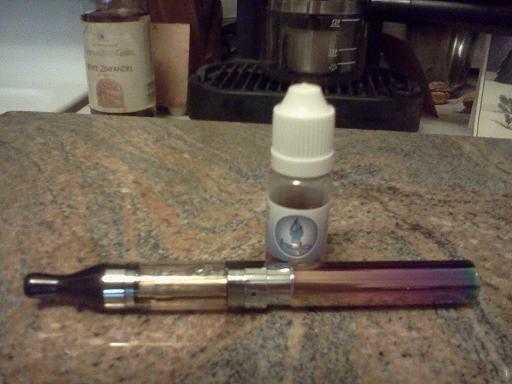 In case you're not familiar with Volcanoecigs' e-liquid, then rest assured. 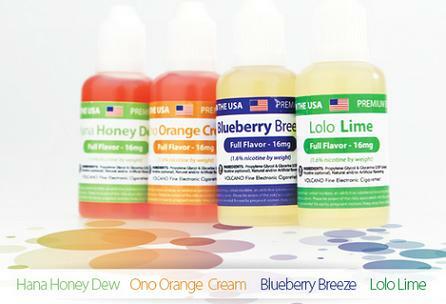 Their e-liquid is made in the USA and is batch tested to ensure the highest quality and safety. 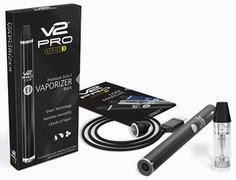 They offer a ton of delicious e-liquid flavors and are loved vapers all over the world. Bottom line, all of their e-cig products are top-notch. 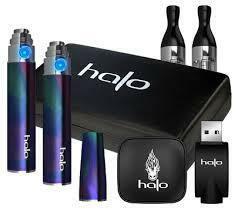 • Halo Triton Starter Kit Review - Awesome or No? 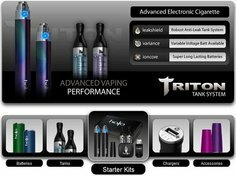 • Halo Triton Variable Voltage Battery - Now available! • E-Liquid of the Week - Discover new awesome flavors! Halo Cigs Voodoo E-Liquid Flavor Review - Awesome Or Not? Yup! Just last week, I ordered a 30ml bottle of Halo's Cafe Mocha e-liquid (my all-time favorite), as well as a bottle of their Shamrock flavor (very yummy!). And so, I also got a free bottle of their new Voodoo flavor with my order. Gotta love that! Anyway, now that I've had several days to vape on it, I figured I'd write an e-liquid review for you all to let you know how well it vapes, how good it tastes, etc. So here we go! Wow, where to start? I guess I could start off by admitting that I didn't think I'd like this flavor all that much, if at all. But it was free, so yeah. So imagine my surprise when, as soon as I starting vaping it, I realized how incredibly wrong I was. This e-liquid flavor is absolutely ASTOUNDING! Long story short, I opened the bottle and filled up one of my empty Halo Triton tanks (clearomizers) with the new Halo Voodoo e-liquid flavor. And nervously, I tried it. Immediately after the first vape, I realized something - and my very first thought was this: "Damn, this is really good!" So I vaped the Halo Voodoo juice some more, and I swear, each time I liked it more and more. I also noticed slightly different flavors coming to life each time I inhaled. Halo describes this as the "voodoo effect" (see below), and now I can see why, first hand. Honestly, I don't know how to describe this flavor, other than to say that it totally rocks. I mean, it's complex and nuanced, intriguing and very well-rounded. But if I had to describe it, I couldn't. "Voodoo E-liquid offers a mild tobacco base gently layered with a complex assortment of flavors including black currant, grape, plum, and a touch of cinnamon. This unique flavor is then rounded out with subtly notes of smooth vanilla, offering a delicate balance of tobacco with gourmet flavors. The unique structure of this e-liquid flavor will vary in profile while vaping, hence the voodoo effect." All I can say is try this flavor, pronto! 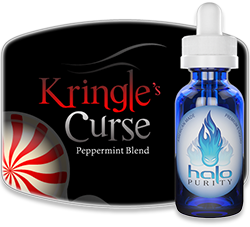 If you try just one new e-liquid this year, then be sure to make it Halo's new Voodoo flavor. It's really that damn amazing. I'm definitely gonna order a full-size 30ml bottle of it tonight, along with some more of Halo's Belgian Cocoa flavor, which is pure vaping heaven for serious chocolate lovers. Voodoo e-liquid flavor: Absolutely delicious! Layered, and perfectly balanced. Voodoo e-liquid vapor production: Outstanding! Thick and smooth. Voodoo e-liquid throat hit: Awesome. Not harsh. Very satisfying. 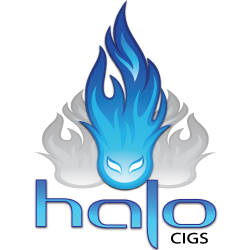 So yeah, head on over to the Halo Cigs website and check it out. And don't forget to check out their other amazing e-liquid flavors as well, for these are what have made them so loved and popular among experienced vapers the world over. 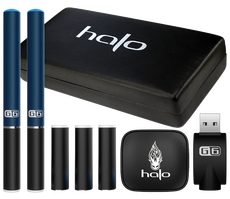 • Halo G6 Starter Kit Review - Does it rock?